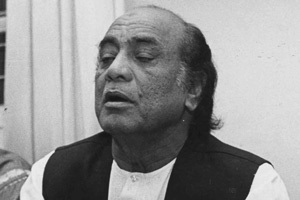 KARACHI: India-born legendary Ghazal singer Mehdi Hassan died today 13 of June at a private clinic in Sindh's provincial capital Karachi, Mehdi Hassan Passed away at the age of 84. Hassan, who had millions of fans in India and Pakistan, had been admitted to the Agha Khan Hospital in the southern port city of Karachi some days ago. He had been in a serious condition and was on ventilator.